It seems as though our industry is transitioning from the word wellness to wellbeing at a rapid pace. Wellbeing is often used to separate from the traditional physical health wellness programs (although many times they are the exact same programs). Now that the word wellbeing is thrown around by every wellness vendor and insurance plan who wants to be part of the “in crowd”, we should explore not only what it means but the various models associated with it. Using a psychological approach and expertise, today’s guest, Dr. Gregg Henriques, created a nested model of wellbeing. Dr. Henriques is Professor of Graduate Psychology at James Madison University, teaching courses in personality theory, personality assessment, social psychology, and integrative adult psychotherapy. In this interview, we discuss why he created a model of wellbeing and we spend most of the time diving into the model. I also fit in a question about how distressed is caused when people have negative reactions to their negative feelings. Gregg walks us through his anacronym CALM MO, which I think we can all benefit from following. Finally, he leaves us with his tip…which is tangible but requires some thought. If you’re ready for some deep thinking, then this interview is for you. Have a sec for a favor? I’d greatly appreciate if you would vote me in to next year’s WELCOA Summit Intensive session! Until November 30th, you can vote for the Intensive sessions you want to see at WELCOA’s 2019 Summit. My session is titled “Next Generation Wellness: From Theory to Practice” can be found HERE. [5:20] Gregg felt driven to create a new model of wellbeing because there’s not a shared language system around it. [8:36] The first domain of the model is the subjective experience of being. It’s your own evaluation of your wellbeing from your first person experience. [11:00] Within the first domain there is the Experiential system (guided by positive emotional system and negative emotional system) and your Narrator (what you say). [16:43] The primacy effect – if you have a crappy experience that ends positively, you’re more likely to view the overall experience as positive (and vice versa). [23:30] The divide between psychologists on how to measure optimal wellbeing. [25:42] The third domain: Where you are situated in the environment (material things that are around you and the social relational environment). 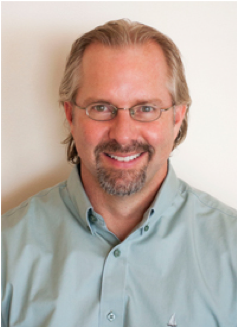 Dr. Gregg Henriques is Professor of Graduate Psychology at James Madison University, and core faculty member in the APA-Accredited Combined-Integrated Doctoral Program in Clinical-School Psychology. Dr. Henriques received his Master’s Degree in Clinical/Community Psychology from the University of North Carolina-Charlotte and his Ph.D. in Clinical Psychology from the University of Vermont. He also completed several years of post-doctoral training at the University of Pennsylvania under Aaron T. Beck. Dr. Henriques teaches courses in personality theory, personality assessment, social psychology, and integrative adult psychotherapy. Dr. Henriques’ primary area of scholarly interest is in the development of a new unified theory of psychology, which offers a new scientific humanistic philosophy for the field. Dr. Henriques has published a book (A New Unified Theory of Psychology) and numerous articles on this work. Dr. Henriques is also a regular blogger on Psychology Today (Theory of Knowledge). Dr. Henriques is currently utilizing his system to systematically study character and well-being, social motivation and emotion, and to develop a more unified approach to psychotherapy. Dr. Henriques also has expertise in the assessment and treatment of severe psychopathology, particularly depression, suicide and personality disorders. Dr. Henriques is a licensed clinical psychologist in Virginia.